It can’t compete with GoPro’s offerings when it comes to image quality, but what the Polaroid Cube action cam can do one thing well. The tiny form factor makes it easier to stick wherever you need to capture your extreme activities—or a night of bar crawling with this new shot glass accessory. 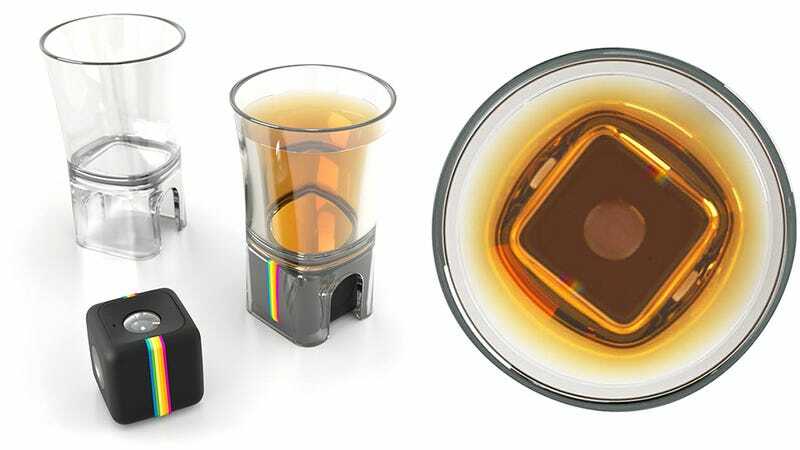 Available now for just $15, the Polaroid Cube fits into the plastic shot glass’ base with the lens pointing up through your drink, and its record button still easily accessible. The next morning, when you’re completely hungover, it’s an easy to way to review what exactly you got up to the night before, and what’s responsible for your feeling like garbage.